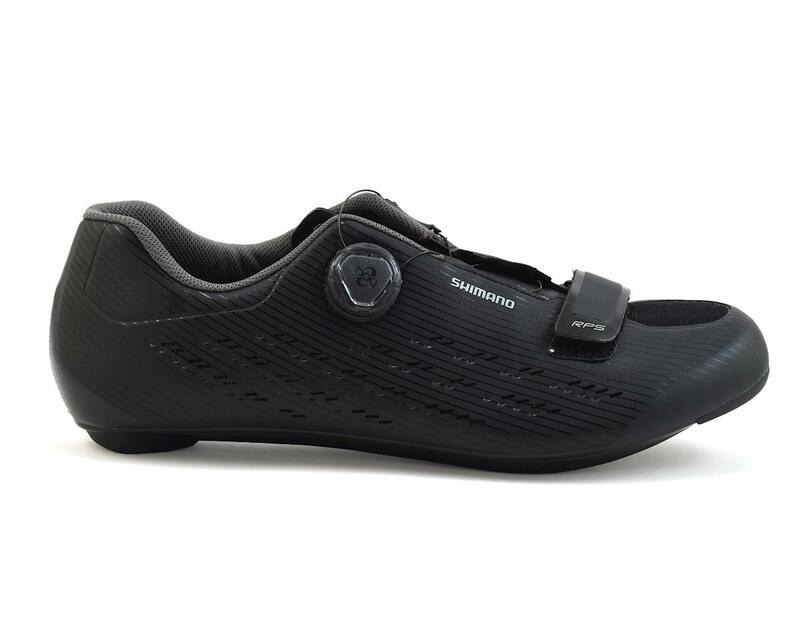 The Shimano RP5 road cycling shoe is a great shoe for everything from a long day in the saddle, to a quick ride on the trainer. 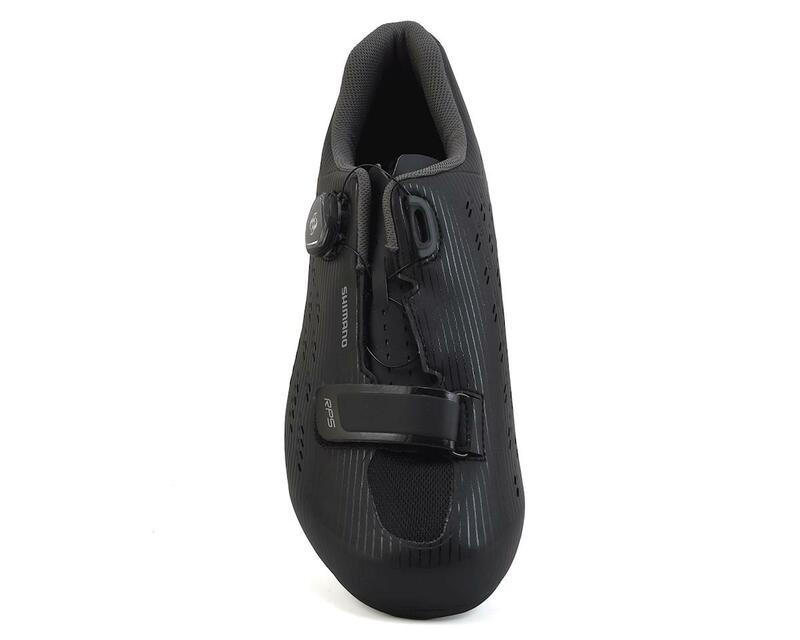 Shimano incorporated a single Boa closure system paired with a hook and loop strap, on the sleek synthetic leather upper, for micro adjustability and a secure, comfortable fit. For ideal power transfer, the RP5 features a lightweight carbon fiber reinforced nylon sole. It's 12 ventilation ports are sure to keep your feel cool even on the longest, hottest days. 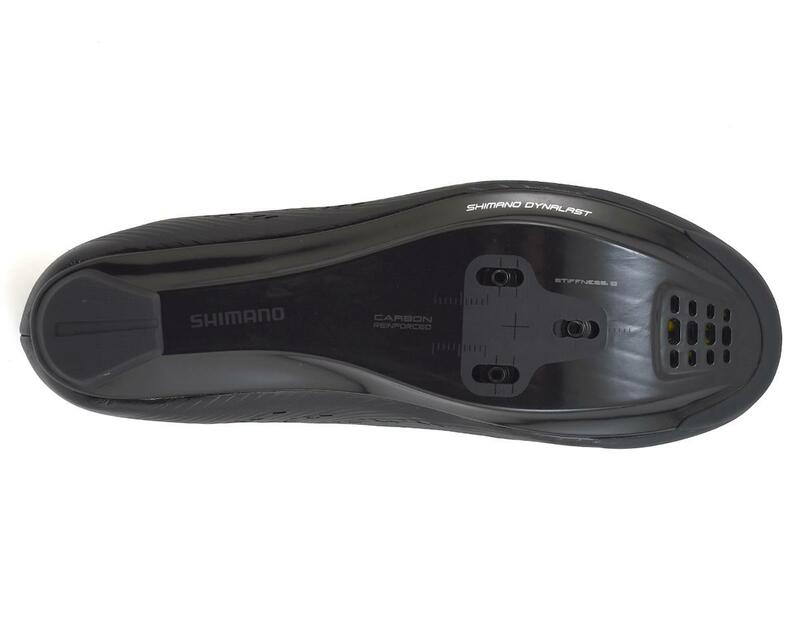 The wide and durable heel pad creates a stable feeling when you're walking around at your mid-ride coffee stop.